A year to the day since a teenage boy drowned on a trip Charlee was supervising, she is again on the river supervising a group of kayakers. When history starts to repeat itself and a teenager nearly drowns and the group is shot at, the question is: are the two events related? With all the talk of what happened a year ago, I wondered if I’d missed a book in this series and this was book two, but after checking Goodreads I learned Beyond Risk is in fact the first book in this series. This story wastes no time getting going. We jump straight into the action and I loved the pace. 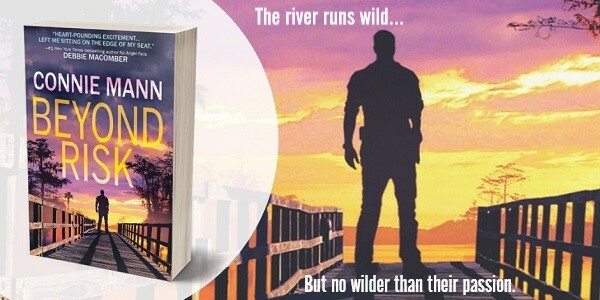 The danger, hunt for the person responsible for the shooting and then further acts of violence against people connected to Charlee, and the romance between Charlee and Fish & Wildlife Officer Hunter are a great mix. I was sure I had a five-star book on my hands. I was excited and having a blast reading and loving all the different characters and threads to the story. And a bonus is I had no idea who did it or why, so I was hooked. Problem for me is my logical brain started to get in the way. Why, after being submerged in water, was Charlee’s phone working? Why is the Fish & Wildlife Commission investigating murder and attempted murder? Why did the men in Charlee’s life keep leaving her on her own when they knew how much danger she was in? As the story hit the 70% mark, I was struggling to suspend my disbelief and my brain was killing my book buzz. Luckily for me though, I was drawn back into the story in the final 10% for the big finale, which was full of suspense and well done. I struggled with whether or not to give this book three or four stars because the things that bugged me really bugged me, but ultimately, for most of the book I was having a ball and that is what matters. So four stars it is. This is the first book in a new series, and I am already looking forward to the next one. This is a really good romantic suspense, and as there are plenty of others who need to find their happily ever after too. Charlee and her family are a wonderful addition to the fictional world of people I now know. The world-building is done in a very organic way as the story develops. The plot is quite complex with some misdirections which work well, and I had half the solution before the reveal. The tension of repeated attempts on Charlee and people around her certainly raised the danger levels, and sometimes I was confused by the lack of care that seemed to be taken on occasion, but it worked out. Most of the time she was lucky enough to be accompanied by Hunter, her best friend, and those feelings develop into something quite different. The timing is not great, but when cupid's arrow hits, there is little they can do to resist it. There is a lot of humour in the relationship between Charlee, her brothers, parents, and Hunter, which lightens the tension. Bakery owner Liz, the ever-grateful recipient of Charlee's cupcakes in her store, is also integral to the story – ensuring that she gets all the details of the Hunter chemistry! I shall be looking out for the next book with great interest. Connie Mann is a licensed boat captain and the author of the Florida-set Safe Harbor romantic suspense series, as well as Angel Falls, Trapped!, and various works of shorter fiction. She has lived in seven different states, but this weather wimp has happily called warm, sunny Florida home for more than twenty years. When she’s not dreaming up plot lines, you’ll find “Captain Connie” on Central Florida’s waterways, introducing boats full of schoolchildren to their first alligator. She is also passionate about helping women and children in developing countries break the poverty cycle and build a better future for themselves and their families. In addition to boating, she and her husband enjoy spending time with their grown children and extended family, and planning their next travel adventures. 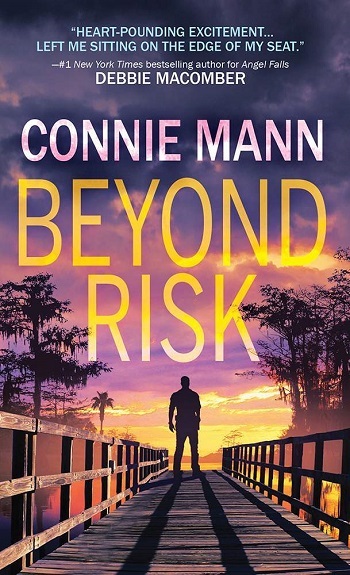 Reviewers on the Wicked Reads Review Team were provided a free copy of Beyond Risk (Florida Wildlife Warriors #1) by Connie Mann to read and review for this tour.